Theo James Walcott is an English footballer who plays for Arsenal and the England national team. Walcott is a product of the Southampton F.C. Academy. He is a striker who is usually deployed on the right wing as a wide forward to exploit his speed. Walcott won the BBC Young Sports Personality of the Year Award in 2006. In the 2004–05 season, he starred in the Southampton youth side that reached the final of the FA Youth Cup against Ipswich Town. In addition, he became the youngest person to play in the Southampton reserve team at 15 years and 175 days, when he came off the bench against Watford in September 2004. The striker then went on to become the youngest-ever player with the Southampton first team, at 16 years and 143 days. 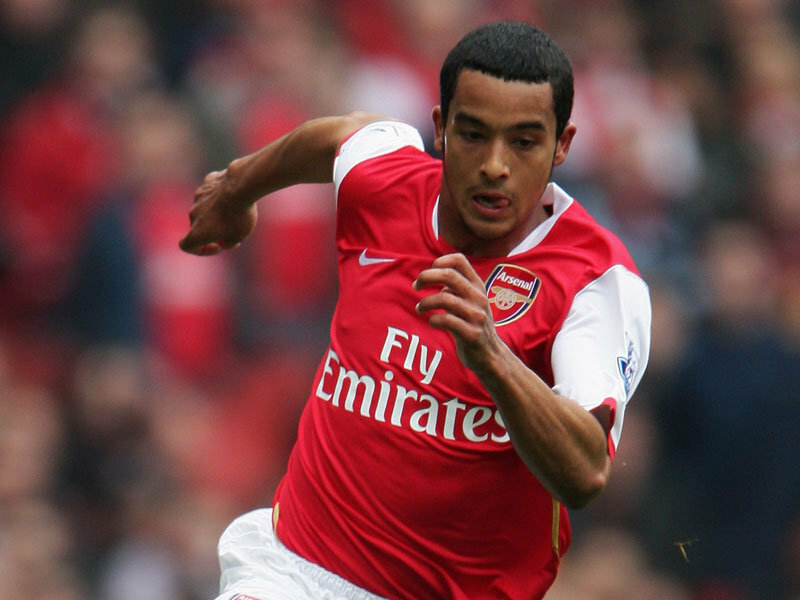 Walcott transferred to Arsenal on 20 January 2006, for a fee of £5 million, rising to £12 million depending on appearances for club and country. Walcott made his Premier League debut on 19 August 2006, the first day of the 2006–07 season, coming on as a substitute against Aston Villa. His Champions League debut came in the second leg of Arsenal's third qualifying round match against Dinamo Zagreb, where Walcott became the youngest ever Arsenal player to appear in European competition. Walcott's exploits with Arsenal and with the England team earned him the BBC Young Sports Personality of the Year award at the end of 2006. Walcott's first goal for Arsenal came in the 2007 League Cup Final against Chelsea at the Millennium Stadium, Cardiff, on 25 February 2007. Walcott's start to the 2010–11 season was particularly successful, winning EA SPORTS Player of the Month in August by a landslide. On 21 August 2010, Walcott scored the first hat-trick of his club career after he netted three against newly promoted Blackpool in a 6–0 home win, coming in just the second game of the new season. He is a striker who is usually deployed on the right wing as a wide forward to exploit his speed. Aaron Ramsey contract situation: Make or break? Big Sam and Rafa Benitez: Legacy Hunting with England's Elite? Lucas Moura: The Brazilian Theo Walcott? Have Tottenham signed him at the perfect time? What could have been for Theo Walcott? The second coming of Theo Walcott?